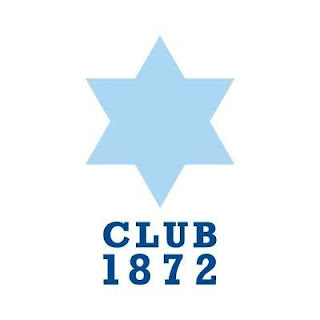 Supporters’ group Club1872 have been plunged into chaos mirroring that of the club with the recent resignation of director Iain Mulholland. The board member decided enough was enough and spoke of Rangers’ refusal to engage with the group’s apparent demands, amidst claims fellow board members were being paid. “I would like to take the opportunity to explain my reason for resigning as a director of club 1872. I got involved last year because I perceived that Laura Fawkes and Joanne Percival were good people trying to do their best for fellow Rangers fans. I have been involved in numerous boards of charities and local voluntary organisations down the years and have a lot of experience of partnership working and strategy development and delivery. I first became concerned at the start of the year whilst in a meeting with Stewart Robertson with Laura Fawkes. I was endeavouring to outline the issue raised by Laura at the AGM on behalf of the fans which was the lack of transparency of the club and how there was a disconnect between both parties, whilst making this point Laura interrupted me to state she didn’t think this was an issue. I found it difficult to understand both her interruption and her undermining what I personally feel is a tangible issue (raised by members prior to the AGM). This set the tone over the following months where the club made offers of assistance but rarely delivered and were never taken to task. I understand that their reasoning will be they were dealing with stabilising the club and although I recognise this as an issue I felt it extremely difficult to feel any real tangible assistance by the club other than paying Chris Graham for a number of days a week assistance to Club 1872. As Laura and Chris do the majority of the organisations day to day work I felt increasingly minimised whilst I endeavoured to deliver a number of projects in conjunction with the charity foundation, Rangers disabled supporters group and also the Founder’s trail, with the overall feeling that unless it was their idea there was little support for moving things forward. After a number of exchanges with Laura where I felt she was disrespectful towards me I felt that I had no other course of action but to resign, which I did about a month ago, at the same time another director tendered their resignation as they were unhappy how the board was operating however I believe they may have been talked into staying. I found no support amongst the other directors as Joanne in truth contributes very little to the organisation and endorses Laura’s every decision, and the other directors are happy to take no action. I suppose the best way to sum up how little cognisance the board took of the issues I raised was when Euan Mcfarlane called me to tell me not to undermine the organisation which he had spent so much time building and also to think about the negativity that might occur towards other directors if I went public, he summed up this one sided approach by stating that Laura admitted she had made mistakes, but had done nothing wrong which I personally believe is a contradiction but perhaps I am being overly critical. It transpires that my resignation has been fortunate as I am now dealing with a fairly serious illness and the stress encountered during my tenure has undoubtedly not helped, with this in mind I really do not wish to say anything further or lobby for change. We’ve little to say on this. But when it rains at Ibrox it’s a monsoon. I have asked repeatedly, as have 3 other contributors plus my Wife & Son WHY Chris Graham is allowed to Blank And Block everyone (fan) who disagrees with him. Yvonne, Laura and Chris Graham are inconpe beyond reasonable doubt. Shame on them. What a bunch of wasters. Protecting their little fiefdoms. All on our contributions. We need more than a monsoon to wash away the stench of mismanagement. Rudderless from the top, powerless from the bottom. It won't stop with a new ringmaster. Well, well, well, the chickens are coming home to roost it appears. For months I, and others have been told that our comments about board members (Rangers fans) and others involved with the board, being sick of what was happening at Rangers under the stewardship of King. YESTERDAY I made the comment that it was "FACT" that there were "Rangers men" on the board who were sick of King..... Making the point that those who defend King because he is a "rangers man" are deluded, cause other "Rangers men" dont like some of the crap he is doing. Trust me when I say, this is just the start of stuff like this "coming out". Oh and BEFORE someone in the Forgive King for Everything Camp comes out and says "It isnt King doing that described".... Sorry, I CANNOT believe he isnt aware of such behaviour (if he doesn't he should) but in any case, HE is the boss, and is ultimately responsible for it. Incidentally, wasnt it King and others of the 3 bears who PROMISED fan involvement with the board and indeed a seat on the board? What has happened to that? Is it, shock horror, another of the lies peddled?? ?